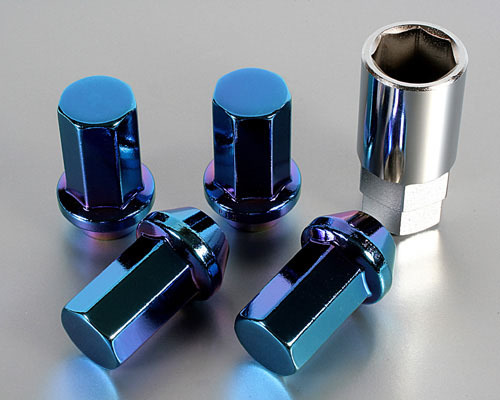 The Kics Project Heptagon Caliber 24 Lug Nuts has a titanium metal coating and theft deterrent 7-sided nuts (normal lug nuts only have 6 sides). 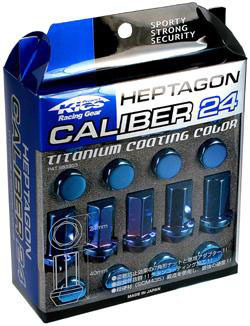 The Kics Project Heptagon Caliber 24 Lug Nuts has a titanium metal coating which provides an amazing color, excellent corrosion resistance and increases the surface hardness. Cop a set at Evasive Motorsports. ← Living the B Life!